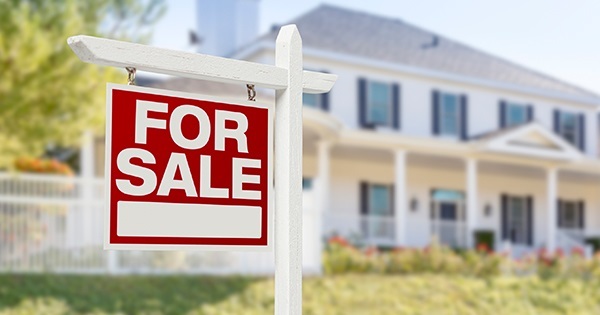 When it comes to homes for sale in Connecticut, the competition can really impact the selling price of your home. Check these to help get your home in showing shape and ready to sell! Cramped rooms are a buyers’ turnoff, so make sure you open up and brighten each room. Start with the furniture — remove the oversized pieces, or those that don’t fit the room’s main purpose. For example, get rid of one of your living room end tables, and remove the desk from your family room. Buyers should see there is enough space in the house for their needs. Next, look at your countertops, shelves, and in cabinets. Keep the knick knacks to a minimum and the decor neutral so buyers can easily picture bringing their lives into your home. There are two kinds of repairs you should consider before selling your home. The first are cosmetic repairs. These are the “nice to haves” for buyers, and the associated costs should be relatively low. Repaint rooms to be less bold, and replace outdated light fixtures or hardware. The overall goal is that your home should feel fresh and modern. Second, you should get a presale home inspection to determine any fixes that could affect your home’s ability to sell. You know if you have an aging roof or radiator, but an inspection will tell you if they’ll need to be replaced in order to get the sale approved. Picture yourself as a buyer pulling up to your home for the first time. The lawn is well cared for, the landscaping is impeccable, and the front door has a fresh coat of paint. These natural observations set the tone for the entire walkthrough, so don’t underestimate the importance of curb appeal. In addition to the details noted above, make sure your house is well-lit at night, and easy to find. Buy new, larger house numbers so buyers don’t drive past it on accident. Brush off any walkways so buyers have an easy time getting to the front step. Last year, sellers using real estate agents to sell their homes netted $26,300 more on average than those who chose not to hire an agent. $26,000! Connecticut’s real estate market is constantly changing, Realtors understand the local market and the marketing practices necessary to sell your home. With today’s technology many Connecticut home owners know their estimated home value. An agent will work with you to determine the best list price to help you accomplish your goals. There is a lot of public record data out there, but wouldn’t you rather buyers hear it directly from you? Create a simple binder showcasing the price you paid, past owners and price history, and any upgrades you’ve made to the property. Include a page with recently sold data of similar homes nearby, so buyers know that the neighborhood is in high demand! When a buyer is coming to look at your property, it’s important that you leave your home for the duration of the visit. Make sure your home looks and smells clean, and then get out of dodge until they’ve left. As a full-time real estate agent with Coldwell Banker, I help clients buy and sell real estate in Darien, Fairfield, Greenwich, New Canaan, Norwalk, Rowayton, Stamford, Weston, Westport, and Wilton. Prior to becoming a real estate agent, I spent 13 years managing client relationships for various Marketing and Advertising companies. I implemented numerous integrated marketing campaigns and managed ongoing performance for some well-known Hospitality, Retail and Telecommunications partners. I am uniquely qualified to deliver exceptional service to you while I help you buy or sell your home. I love what I do and would be happy to help you prepare to sell your home. To schedule a free consultation call 203.919.7479, or request a custom home evaluation here.